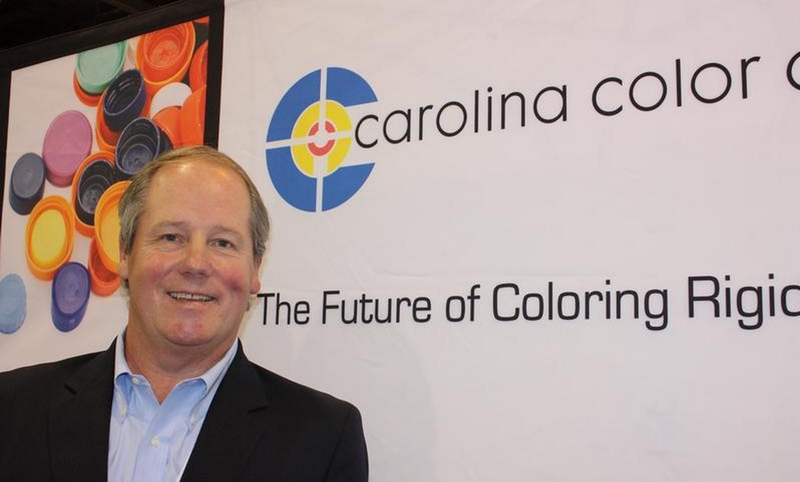 CHICAGO — Carolina Color Corp. embraces its failures as much as its successes. As CEO of the Salisbury, N.C.-based and family-owned company, Matt Barr sees value in the firm’s missteps because they ultimately help lead to victories. “We look at every failure as a lesson learned in terms of the journey to success,” Barr said at Pack Expo in Chicago. “You’re not going to have a straight line 100 percent of the time to get from A to Z and have a home run. “You strike out a few times. You celebrate it and you move on,” he said. Just look at the company’s G2 line that features high loads of pigments when compared with typical colorants, the CEO said. Six years after receiving a patent for G2, the pelletized product has taken the company to new heights. That wasn’t always the case. The company even ditched a previous manufacturing process after realizing it just was not going to produce the needed results. “We’ve almost doubled the size of the business in the last five or six years on the strength of this product in the marketplace,” Barr said. Customers like using G2 because they buy less material and save money compared to previous formulations. Carolina Color likes G2 because the company is producing fewer pounds at a higher price while freeing up manufacturing capacity in the process, he said. “It’s been a tremendous growth engine for our business. It allows our customers to save money, which is pivotal. They’re using less product, so there’s space available in their warehouses. It’s easy to use. It’s basically a plug-and-play product,” he said. “You don’t have to change your set-ups a ton to utilize the technology. You don’t have to buy new equipment to utilize it,” he said. Based on the success of G2, the company is on the verge of introducing the next generation of colorants that will pack even more pigment punch starting early next year. Carolina Color operates plants in Salisbury and Delaware, Ohio. The company employs about 105 workers these days, down from the 140 or so that were on the payroll before a plant in Lancaster, Texas, closed in 2008. That facility was shuttered when the company no longer needed as much capacity after developing the G2 product. Employment dipped to about 85 or 90 back then before increasing in recent years. “We have grown through the Great Recession. Our employment numbers have been steady and increasing over the last six years, which is kind of unique in this industry,” Barr said. 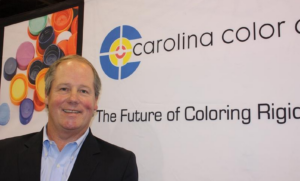 Carolina Color looked to innovation after realizing that it couldn’t and really shouldn’t try to compete on a commoditized level with companies that are much larger. “We really are not going to be the largest player in the industry. So in order to grow, we couldn’t compete exclusively on price like some of the big players,” Barr said.